7) You will get your Cashback in your FreeCharge wallet within 24 hours. Valid on successful Bill Payments done till 09th January 2018. 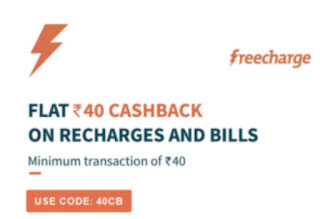 Valid on Min Recharge of Rs.40.